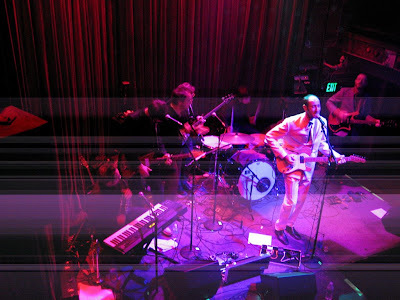 Here are a couple of photos from the show at Johnny Brenda's on 10/17. It was a lot of fun. Thanks to Ezra from Citay for joining us on stage for September Gurls. And thanks to my grandfather for buying this white nehru suit in the '70s.